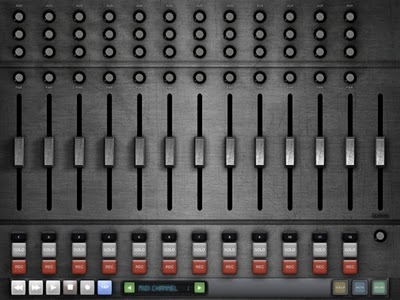 WIFI DAW Mixer controller for music packages such as Ableton’s LIVE, Propellerheads Reason, Apple Logic Pro, or any other music suite with MIDI access to the mixingboard. Wirelessly control your music’s mix, with built-in mixer, pans, and sends, transport, keyboard controller, and customizeable drum pads. Customize your music software to use TrixMix to fit your needs. Elegant UI makes it easy to navigate to things you need quickly, whether you’re in the studio or onstage.